My previous posts was, perhaps, too full of formulas, without offering much reflection. Let me try to correct that here by tying up a few loose ends. The first loose end is about units. Indeed, I haven’t been very clear about that and so let me somewhat more precise on that now. When we wrote that down that u = ε0E2/2 formula for the energy density of an electric field (see my previous post on fields and charges for more details), we noted that the 1/2 factor was there to avoid double-counting. Indeed, those volume integrals we use to calculate the energy over all space (i.e. U = ∫(u)dV) count the energy that’s associated with a pair of charges (or, to be precise, charge elements) twice and, hence, they have a 1/2 factor in front. Indeed, as Feynman notes, there is no convenient way, unfortunately, of writing an integral that keeps track of the pairs so that each pair is counted just once. In fact, I’ll have to come back to that assumption of there being ‘pairs’ of charges later, as that’s another loose end in the theory. Densities are always measures in terms per unit volume, so that’s the cubic meter (m3). That’s, obviously, an astronomical unit at the atomic or molecular scale. Energy is in joule (J) and that’s, once again, a rather astronomical unit at the lower end of the scales. Indeed, theoretical physicists prefer to use the electronvolt (eV), which is the energy gained (or lost) when an electron (so that’s a charge of –e, i.e. minus e) moves across a potential difference of one volt. But so we’ll stick to the joule as for now, not the eV, because the joule is the SI unit that’s used when defining most electrical units, such as the ampere, the watt and… Yes. The volt. Let’s start with that one. The volt unit (V) measures both potential (energy) as well as potential difference (in both cases, we mean electric potential only, of course). Now, from all that you’ve read so far, it should be obvious that potential (energy) can only be measured with respect to some reference point. In physics, the reference point is infinity, which is so far away from all charges that there is no influence there. Hence, any charge we’d bring there (i.e. at infinity) will just stay where it is and not be attracted or repelled by anything. We say the potential there is zero: Φ(∞) = 0. The choice of that reference point allows us, then, to define positive or negative potential: the potential near positive charges will be positive and, vice versa, the potential near negative charges will be negative. Likewise, the potential difference between the positive and negative terminal of a battery will be positive. 1 volt = 1 joule/coulomb (1 V = 1 J/C). One joule is the energy energy transferred (or work done) when applying a force of one newton over a distance of one meter, so one volt can also be measured in newton·meter per coulomb: 1 V = 1 J/C = N·m/C. One joule can also be written as 1 J = 1 V·C. It’s quite easy to see why that energy = volt-coulomb product makes sense: higher voltage will be associated with higher energy, and the same goes for higher charge. Indeed, the so-called ‘static’ on our body is usually associated with potential differences of thousands of volts (I am not kidding), but the charges involved are extremely small, because the ability of our body to store electric charge is minimal (i.e. the capacitance (aka capacity) of our body). Hence, the shock involved in the discharge is usually quite small: it is measured in milli-joules (mJ), indeed. The remark on ‘static’ brings me to another unit which I should mention in passing: the farad. It measures the capacitance (formerly known as the capacity) of a capacitor (formerly known as a condenser). A condenser consists, quite simply, of two separated conductors: it’s usually illustrated as consisting of two plates or of thin foils (e.g. aluminum foil) separated by an insulating film (e.g. waxed paper), but one can also discuss the capacity of a single body, like our human body, or a charged sphere. In both cases, however, the idea is the same: we have a ‘positive’ charge on one side (+q), and a ‘negative’ charge on the other (–q). In case of a single object, we imagine the ‘other’ charge to be some other large object (the Earth, for instance, but it can also be a car or whatever object that could potentially absorb the charge on our body) or, in case of the charged sphere, we could imagine some other sphere of much larger radius. The farad will then measure the capacity of one or both conductors to store charge. Now, you may think we don’t need another unit here if that’s the definition: we could just express the capacity of a condensor in terms of its maximum ‘load’, couldn’t we? So that’s so many coulomb before the thing breaks down, when the waxed paper fails to separate the two opposite charges on the aluminium foil, for example. No. It’s not like that. It’s true we can not continue to increase the charge without consequences. However, what we want to measure with the farad is another relationship. Because of the opposite charges on both sides, there will be a potential difference, i.e. a voltage difference. Indeed, a capacitor is like a little battery in many ways: it will have two terminals. Now, it is fairly easy to show that the potential difference (i.e. the voltage) between the two plates will be proportional to the charge. Think of it as follows: if we double the charges, we’re doubling the fields, right? So then we need to do twice the amount of work to carry the unit charge (against the field) from one plate to the other. Now, because the distance is the same, that means the potential difference must be twice what it was. [Note the confusing use of the same symbol C for both the unit of charge (coulomb) as well as for the proportionality coefficient! I am sorrry about that, but so that’s convention!]. To be precise, I should add that the proportionality is generally there, but there are exceptions. More specifically, the way the charge builds up (and the way the field builds up, at the edges of the capacitor, for instance) may cause the capacitance to vary a little bit as it is being charged (or discharged). In that case, capacitance will be defined in terms of incremental changes: C = dQ/dV. The capacity of a parallel-plate condenser is C = ε0A/d. In this formula, we have, once again, that ubiquitous electric constant ε0 (think of it as just another coefficient of proportionality), and then A, i.e. the area of the plates, and d, i.e. the separation between the two plates. The capacity of a charged sphere of radius r (so we’re talking the capacity of a single conductor here) is C = 4πε0r. This may remind you of the formula for the surface of a sphere (A = 4πr2), but note we’re not squaring the radius. It’s just a linear relationship with r.
I am not giving you these two formulas to show off or fill the pages, but because they’re so ubiquitous and you’ll need them. In fact, I’ll need the second formula in this post when talking about the other ‘loose end’ that I want to discuss. The ampere is the unit of current, so it measures the quantity of charge moving or circulating per second. Hence, one ampere is one coulomb per second: 1 A = 1 C/s. The watt measures power. Power is the rate of energy conversion or transfer with respect to time. One watt is one joule per second: 1 W = 1 J/s = 1 N·m/s. Also note that we can write power as the product of current and voltage: 1 W = (1 A)·(1 V) = (1 C/s)·(1 J/C) = 1 J/s. The ohm (Ω): that’s the unit of electrical resistance. Let me quickly define it: the ohm is defined as the resistance between two points of a conductor when a (constant) potential difference (V) of one volt, applied to these points, produces a current (I) of one ampere. So resistance (R) is another proportionality coefficient: R = V/I, and 1 ohm (Ω) = 1 volt/ampere (V/A). [Again, note the (potential) confusion caused by the use of the same symbol (V) for voltage (i.e. the difference in potential) as well as its unit (volt).] Now, note that it’s often useful to write the relationship as V = R·I, so that gives the potential difference as the product of the resistance and the current. The weber (Wb) and the tesla (T): that’s the unit of magnetic flux (i.e. the strength of the magnetic field) and magnetic flux density (i.e. one tesla = one weber per square meter) respectively. So these have to do with the field vector B, rather than E. So we won’t talk about it here. The henry (H): that’s the unit of electromagnetic inductance. It’s also linked to the magnetic effect. Indeed, from Maxwell’s equations, we know that a changing electric current will cause the magnetic field to change. Now, a changing magnetic field causes circulation of E. Hence, we can make the unit charge go around in some loop (we’re talking circulation of E indeed, not flux). The related energy, or the work that’s done by a unit of charge as it travels (once) around that loop, is – quite confusingly! – referred to as electromotive force (emf). [The term is quite confusing because we’re not talking force but energy, i.e. work, and, as you know by now, energy is force times distance, so energy and force are related but not the same.] To ensure you know what we’re talking about, let me note that emf is measured in volts, so that’s in joule per coulomb: 1 V = 1 J/C. Back to the henry now. If the rate of change of current in a circuit (e.g. 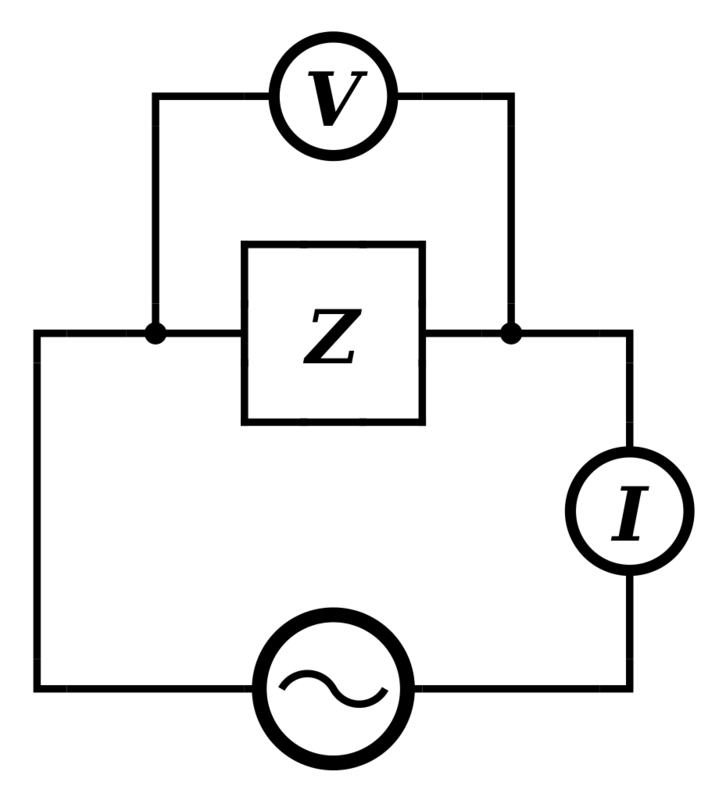 the armature winding of an electric motor) is one ampere per second, and the resulting electromotive force (remember: emf is energy per coulomb) is one volt, then the inductance of the circuit is one henry. Hence, 1 H = 1 V/(1 A/s) = 1 V·s/A. You’ve probably heard about the so-called impedance of a circuit. That’s a complex concept, literally, because it’s a complex-valued ratio. I should refer you to the Web for more details, but let me try to summarize it because, while it’s complex, that doesn’t mean it’s complicated. 🙂 In fact, I think it’s rather easy to grasp after all you’ve gone through already. 🙂 So let’s give it a try. Now, if you don’t know anything about complex numbers, you should just skip all of what follows and go straight to the next section. However, if you do know what a complex number is (it’s an ‘arrow’, basically, and if θ is a variable, then it’s a rotating arrow, or a ‘stopwatch hand’, as Feynman calls it in his more popular Lectures on QED), then you may want to carry on reading. Now, that should be more than enough in terms of an introduction to the units used in electromagnetic theory. Hence, let’s move on. Let’s now look at that energy density formula once again. When looking at that u = ε0E2/2 formula, you may think that its unit should be the square of the unit in which we measure field strength. How do we measure field strength? It’s defined as the force on a unit charge (E = F/q), so it should be newton per coulomb (N/C). Because the coulomb can also be expressed in newton·meter/volt (1 V = 1 J/C = N·m/C and, hence, 1 C = 1 N·m/V), we can express field strength not only in newton/coulomb but also in volt per meter: 1 N/C = 1 N·V/N·m = 1 V/m. How do we get from N2/C2 and/or V2/m2 to J/m3? This numerical value of ε0 is as important as its unit to ensure both expressions for U yield the same result. Indeed, as you may or may not remember from the second of my two posts on vector calculus, if we have a curl-free field C (that means ∇×C = 0 everywhere, which is the case when talking electrostatics only, as we are doing here), then we can always find some scalar field ψ such that C = ∇ψ. But so here we have E = –ε0∇Φ, and so it’s not the minus sign that distinguishes the expression from the C = ∇ψ expression, but the ε0 factor in front. It’s just like the vector equation for heat flow: h = –κ∇T. Indeed, we also have a constant of proportionality here, which is referred to as the thermal conductivity. Likewise, the electric constant ε0 is also referred to as the permittivity of the vacuum (or of free space), for similar reasons obviously! You may wonder whether we can’t find some better units, so we don’t need the rather horrendous 8.8542×10−12 C/V·m factor (I am rounding to four digits after the decimal point). The answer is: yes, it’s possible. In fact, there are several systems in which the electric constant (and the magnetic constant, which we’ll introduce later) reduce to 1. 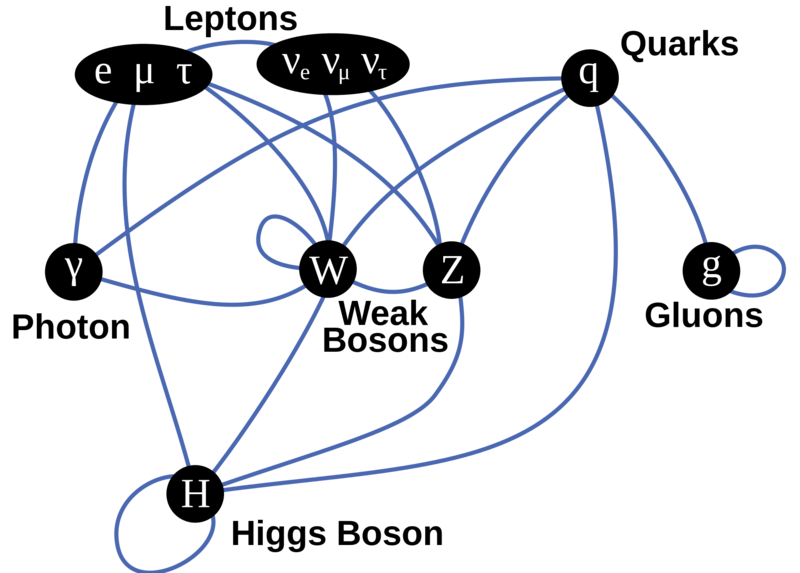 The best-known are the so-called Gaussian and Lorentz-Heaviside units respectively. Why would we select the charge of the electron or the proton as the unit charge (+1 or –1) if we now assume that protons (and neutrons) consists of quarks, which have +2/3 or –1/3? What unit would we choose as the unit for mass, knowing that, despite all of the simplification that took place as a result of the generalized acceptance of the quark model, we’re still stuck with quite a few elementary particles whose mass would be a ‘candidate’ for the unit mass? Do we chose the electron, the u quark, or the d quark? Therefore, the approach to ‘natural units’ has not been to redefine mass or charge or temperature, but the physical constants themselves. Obvious candidates are, of course, c and ħ, i.e. 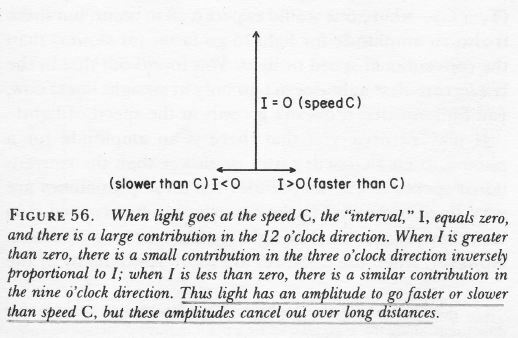 the speed of light and Planck’s constant. [You may wonder why physicists would select ħ, rather than h, as a ‘natural’ unit, but I’ll let you think about that. The answer is not so difficult.] That can be done without too much difficulty indeed, and so one can equate some more physical constants with one. The next candidate is the so-called Boltzmann constant (kB). While this constant is not so well known, it does pop up in a great many equations, including those that led Planck to propose his quantum of action, i.e. h (see my post on Planck’s constant). When we do that – so when we equate c, ħ and kB with one (c = ħ = kB = 1), we still have a great many choices, so we need to impose further constraints. The next is to equate the gravitational constant with one, so then we have c = ħ = kB = G = 1. Now, it turns out that the ‘solution’ of this ‘set’ of four equations (c = ħ = kB = G = 1) does, effectively, lead to ‘new’ values for most of our SI base units, most notably length, time, mass and temperature. These ‘new’ units are referred to as Planck units. You can look up their values yourself, and I’ll let you appreciate the ‘naturalness’ of the new units yourself. They are rather weird. The Planck length and time are usually referred to as the smallest possible measurable units of length and time and, hence, they are related to the so-called limits of quantum theory. Likewise, the Planck temperature is a related limit in quantum theory: it’s the largest possible measurable unit of temperature. To be frank, it’s hard to imagine what the scale of the Planck length, time and temperature really means. In contrast, the scale of the Planck mass is something we actually can imagine – it is said to correspond to the mass of an eyebrow hair, or a flea egg – but, again, its physical significance is not so obvious: Nature’s maximum allowed mass for point-like particles, or the mass capable of holding a single elementary charge. That triggers the question: do point-like charges really exist? I’ll come back to that question. But first I’ll conclude this little digression on units by introducing the so-called fine-structure constant, of which you’ve surely heard before. I wrote that the ‘set’ of equations c = ħ = kB = G = 1 gave us Planck units for most of our SI base units. It turns out that these four equations do not lead to a ‘natural’ unit for electric charge. We need to equate a fifth constant with one to get that. That fifth constant is Coulomb’s constant (often denoted as ke) and, yes, it’s the constant that appears in Coulomb’s Law indeed, as well as in some other pretty fundamental equations in electromagnetics, such as the field caused by a point charge q: E = q/4πε0r2. Hence, ke = 1/4πε0. So if we equate ke with one, then ε0 will, obviously, be equal to ε0 = 1/4π. To make a long story short, adding this fifth equation to our set of five also gives us a Planck charge, and I’ll give you its value: it’s about 1.8755×10−18 C. As I mentioned that the elementary charge is 1 e ≈ 1.6022×10−19 C, it’s easy to that the Planck charge corresponds to some 11.7 times the charge of the proton. In fact, let’s be somewhat more precise and round, once again, to four digits after the decimal point: the qP/e ratio is about 11.7062. Conversely, we can also say that the elementary charge as expressed in Planck units, is about 1/11.7062 ≈ 0.08542455. In fact, we’ll use that ratio in a moment in some other calculation, so please jot it down. 0.08542455? That’s a bit of a weird number, isn’t it? You’re right. And trying to write it in terms of the charge of a u or d quark doesn’t make it any better. Also, note that the first four significant digits (8542) correspond to the first four significant digits after the decimal point of our ε0 constant. So what’s the physical significance here? 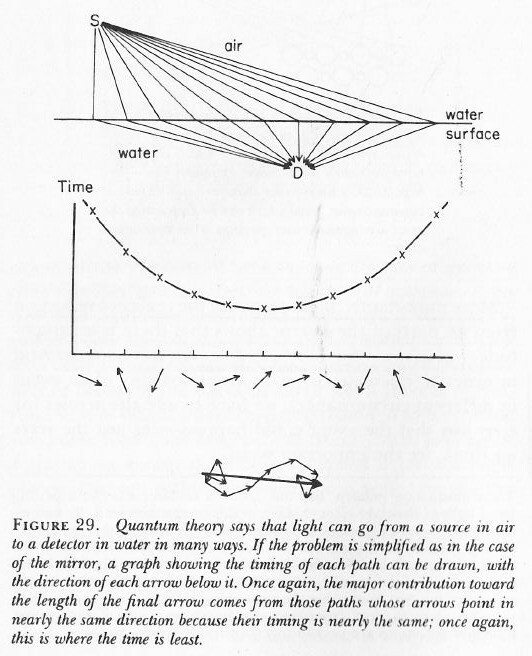 Some other limit of quantum theory? The μ0 constant is the so-called magnetic constant. 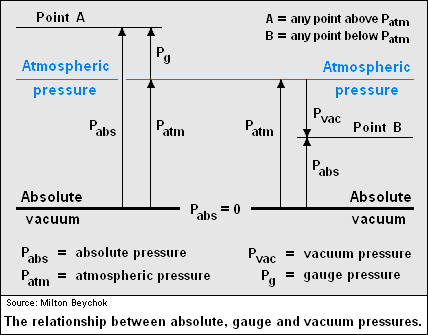 It’s something similar as ε0 and it’s referred to as the magnetic permeability of the vacuum. So it’s just like the (electric) permittivity of the vacuum (i.e. the electric constant ε0) and the only reason why you haven’t heard of this before is because we haven’t discussed magnetic fields so far. In any case, you know that the electric and magnetic force are part and parcel of the same phenomenon (i.e. the electromagnetic interaction between charged particles) and, hence, they are closely related. To be precise, μ0 = 1/ε0c2. That shows the first and second expression for α are, effectively, fully equivalent. Now, from the definition of ke = 1/4πε0, it’s easy to see how those two expressions are, in turn, equivalent with the third expression for α. The RK constant is the so-called von Klitzing constant, but don’t worry about it: it’s, quite simply, equal to RK = h/e2. Hene, substituting (and don’t forget that h = 2πħ) will demonstrate the equivalence of the fourth expression for α. Finally, the re factor is the classical electron radius, which is usually written as a function of me, i.e. the electron mass: re = e2/4πε0mec2. This very same equation implies that reme = e2/4πε0c2. So… Yes. It’s all the same really. The e2 constant is (roughly) equal to (1.6022×10–19 C)2 = 2.5670×10–38 C2. Coulomb’s constant ke = 1/4πε0 is about 8.9876×109 N·m2/C2. Hence, the numerator e2ke ≈ 23.0715×10–29 N·m2. The (rounded) denominator is ħc = (1.05457×10–34 N·m·s)(2.998×108 m/s) = 3.162×10–26 N·m2. Hence, we get α = kee2/ħc ≈ 7.297×10–3 = 0.007297. Note that this number is, effectively, dimensionless. Now, the interesting thing is that if we calculate α using Planck units, we get an e2 constant that is (roughly) equal to 0.085424552 = … 0.007297! Now, because all of the other constants are equal to 1 in Planck’s system of units, that’s equal to α itself. So… Yes ! The two values for α are one and the same in the two systems of units and, of course, as you might have guessed, the fine-structure constant is effectively dimensionless because it does not depend on our units of measurement. So what does it correspond to? 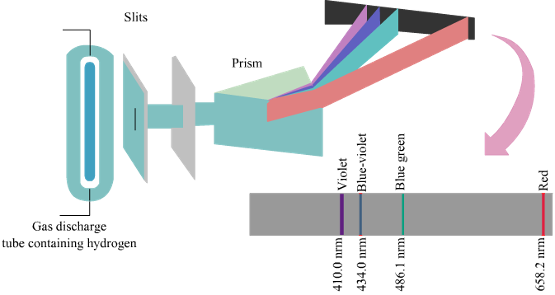 A photon travels from point A to B. 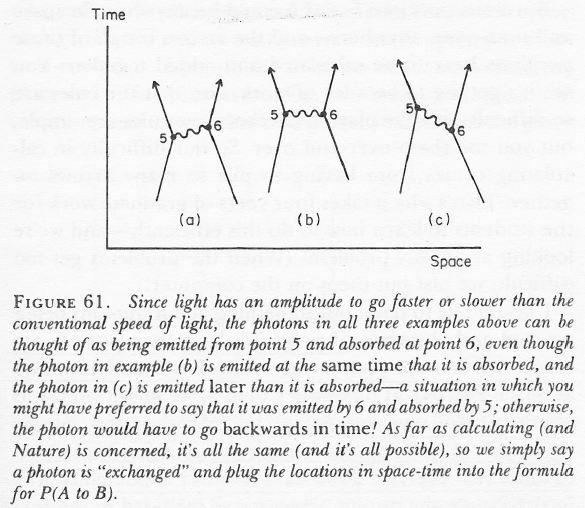 To keep things simple and stupid, Feynman denoted this amplitude by P(A to B), and please note that the P stands for photon, not for probability. I should also note that we have an easy formula for P(A to B): it depends on the so-called space-time interval between the two points A and B, i.e. I = Δr2 – Δt2 = (x2–x1)2+(y2–y1)2+(z2–z1)2 – (t2–t1)2. 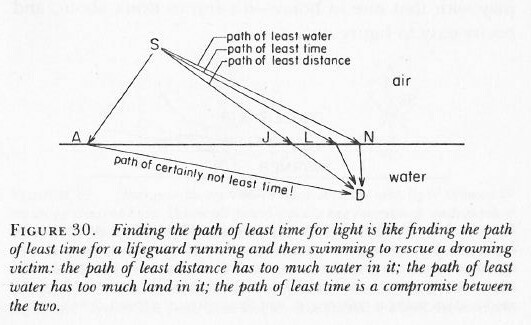 Hence, the space-time interval takes both the distance in space as well as the ‘distance’ in time into account. 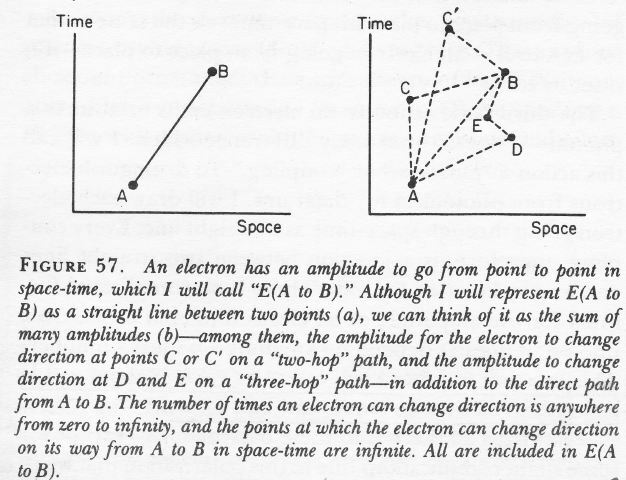 An electron travels from point A to B: this was denoted by E(A to B) because… Well… You guessed it: the E of electron. The formula for E(A to B) was much more complicated, but the two key elements in the formula was some complex number j (see below), and some other (real) number n.
Finally, an electron could emit or absorb a photon, and the amplitude associated with this event was denoted by j, for junction. Now, that junction number j is about –0.1. To be somewhat more precise, I should say it’s about –0.08542455. So we find that our junction number j or – as it’s better known – our coupling constant in quantum electrodynamics (aka as the gauge coupling parameter g) is equal to the (negative) square root of that fine-structure constant which, in turn, is equal to the charge of the electron expressed in the Planck unit for electric charge. Now that is a very deep and fundamental result which no one seems to be able to ‘explain’—in an ‘intuitive’ way, that is. I should immediately add that, while we can’t explain it, intuitively, it does make sense. A lot of sense actually. Photons carry the electromagnetic force, and the electromagnetic field is caused by stationary and moving electric charges, so one would expect to find some relation between that junction number j, describing the amplitude to emit or absorb a photon, and the electric charge itself, but… An equality? Really? Well… Yes. That’s what it is, and I look forward to trying to understand all of this better. For now, however, I should proceed with what I set out to do, and that is to tie up a few loose ends. This was one, and so let’s move to the next, which is about the assumption of point charges. To calculate this integral, we need to take the limit of –q2/8πε0r for (a) r tending to zero (r→0) and for (b) r tending to infinity (r→∞). The limit for r = ∞ is zero. That’s OK and consistent with the choice of our reference point for calculating the potential of a field. However, the limit for r = 0 is zero is infinity! Hence, that U = (ε0/2)∫E•EdV basically says there’s an infinite amount of energy in the field of a point charge! How is that possible? It cannot be true, obviously. So… Where did we do wrong? We know that the potential difference between two plates of a condenser represents the work we have to do, per unit charge, to transfer a charge (Q) from one plate to the other. Hence, we can write V = ΔU/ΔQ. We will, of course, want to do a differential analysis. Hence, we’ll transfer charges incrementally, one infinitesimal little charge dQ at the time, and re-write V as V = dU/dQ or, what amounts to the same: dU = V·dQ. Now, we’ve defined the capacitance of a condenser as C = Q/V. [Again, don’t be confused: C stands for capacity here, measured in coulomb per volt, not for the coulomb unit.] Hence, we can re-write dU as dU = Q·dQ/C. From that formula, it’s obvious that, if the radius of our sphere goes to zero, its energy should also go to infinity! So it seems we can’t really pack a finite charge Q in one single point. Indeed, to do that, our formula says we need an infinite amount of energy. So what’s going on here? Finally, some more mathematical tricks gave us that U = (ε0/2)∫E•EdV integral. In essence, what’s wrong in that integral above is that it actually includes the energy that’s needed to assemble the finite point charge q itself from an infinite number of infinitesimal parts. Now that energy is infinitely large. We just can’t do it: the energy required to construct a point charge is ∞. Now that explains the physical significance of that Planck mass ! We said Nature has some kind of maximum allowable mass for point-like particles, or the mass capable of holding a single elementary charge. What’s going on is, as we try to pile more charge on top of the charge that’s already there, we add energy. Now, energy has an equivalent mass. Indeed, the Planck charge (qP ≈ 1.8755×10−18 C), the Planck length (lP = 1.616×10−35 m), the Planck energy (1.956×109 J), and the Planck mass (2.1765×10−8 kg) are all related. Now things start making sense. Indeed, we said that the Planck mass is tiny but, still, it’s something we can imagine, like a flea’s egg or the mass of a hair of a eyebrow. The associated energy (E = mc2, so that’s (2.1765×10−8 kg)·(2.998×108 m/s)2 ≈ 19.56×108 kg·m2/s2 = 1.956×109 joule indeed. So… Well… That’s it for now. The point to note is that we would not have any theoretical problems if we’d assume our ‘point charge’ is actually not a point charge but some small distribution of charge itself. You’ll say: Great! Problem solved!